It was clear this morning but day time high was still below zero Celsius. 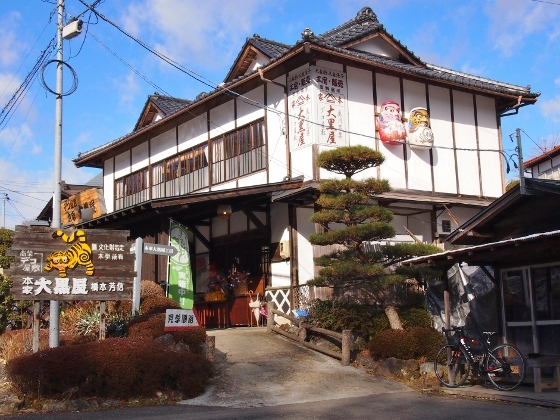 I visited Takashiba Dekoyashiki which was located in the northeastern part of Koriyama City near the border of Miharu Town. 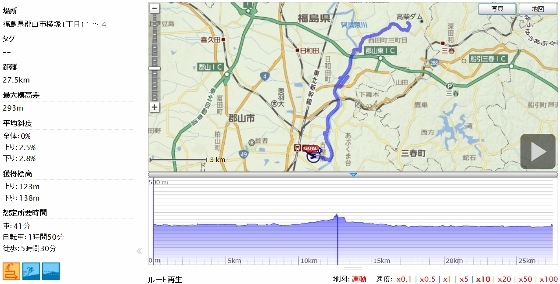 I pedaled north on the Michinoku Cycling Road along Abukuma River and then with another 5km ride I finally arrived at the goal. 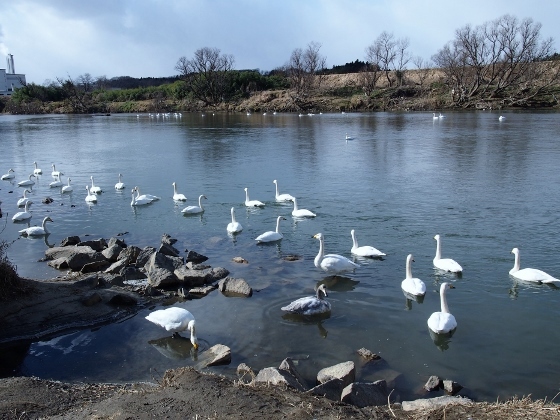 On return route I was very lucky to find many swans swimming in the Abukuma River. 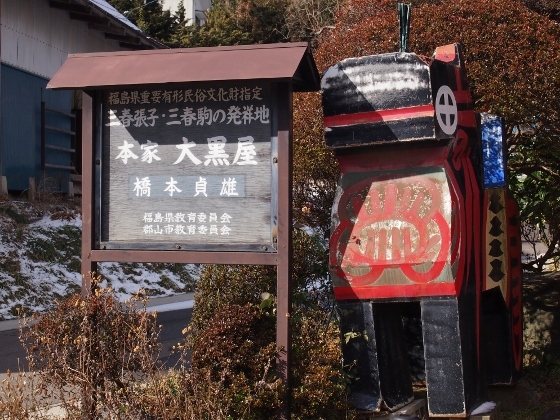 Takashiba Dekoyashiki was the birthplace for the famous Miharugoma and Miharuhariko both of which were small dolls handcrafted from wood or Japanese paper. Today four workshops were taking over traditional handcraft production. I will show below what I saw there. 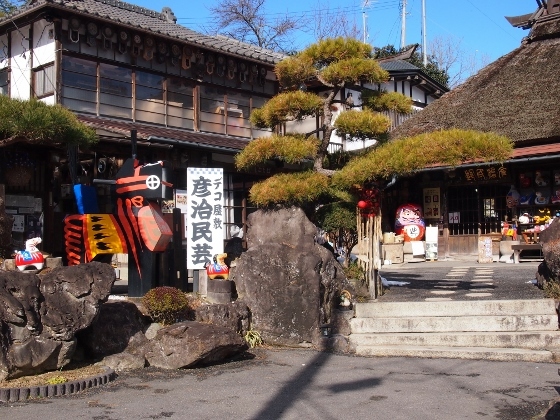 The above picture shows Daikokuya Bussankan at the entrance which was a shop for their handcraft products. 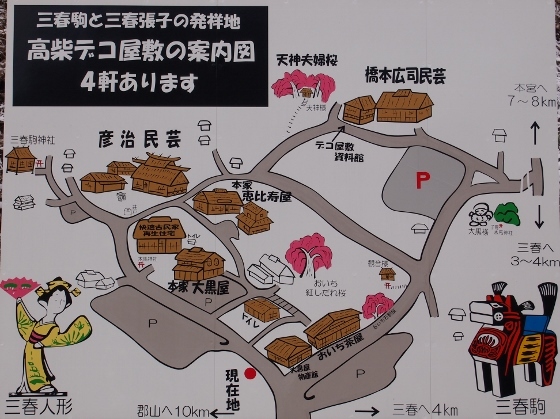 The picture above shows locations for the four handcraft workshops. "HonkeDaikokuya" appeared first near the entrance. 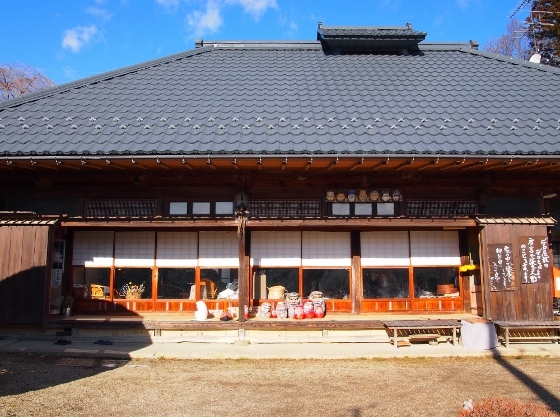 The board in the picture explained that Dekoyashiki meant workshops for traditional Miharugoma and Miharuhariko. Inside the house they were not only doing handworks but also doing display and selling their handmade products. There were many heart filled products displayed. 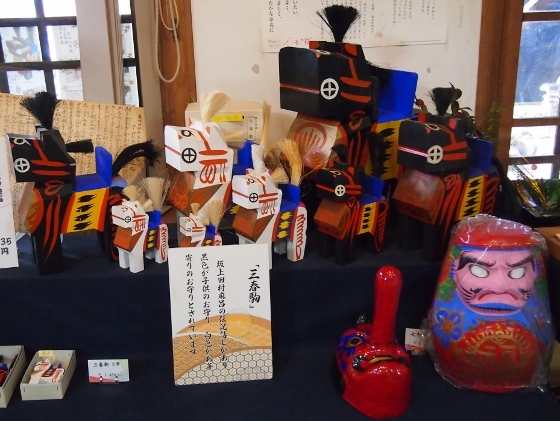 The picture shows display of famous Miharugomas. 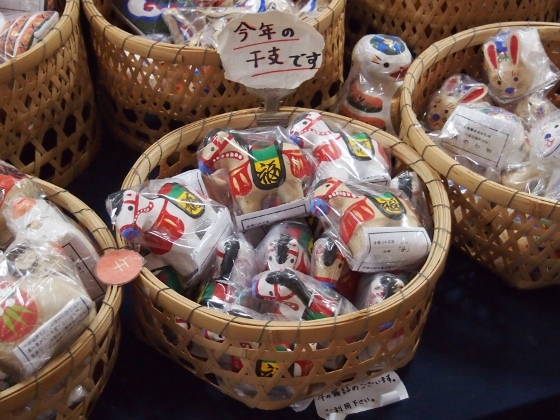 The black one was a charm for child and the white one for elderly person. 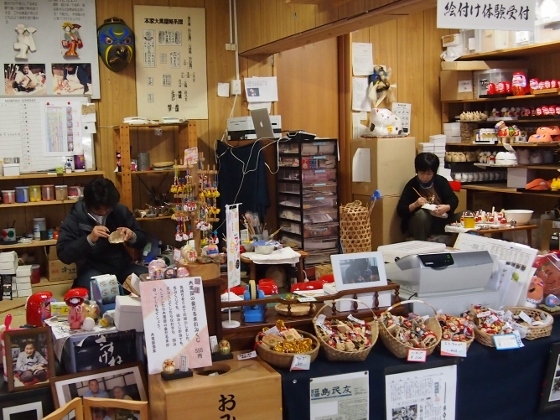 The above picture shows paper craft Hariko dolls of horse which was a zodiac animal for this year. 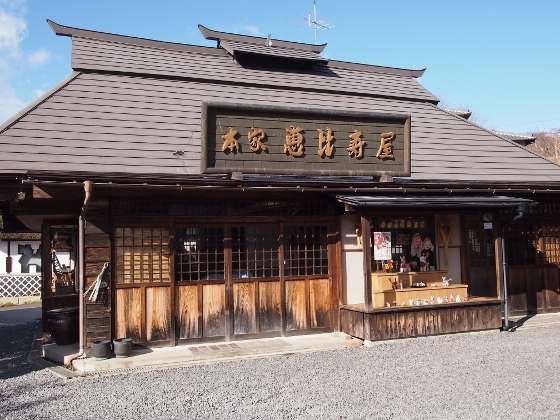 The last was "Hashimoto Hiroji Mingei" which was in a little walk from the former workshop. Either workshop did both production and selling. 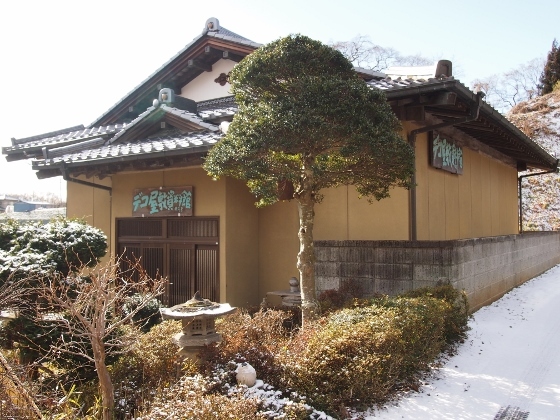 There was Dekoyashiki Museum adjacent to the last one. 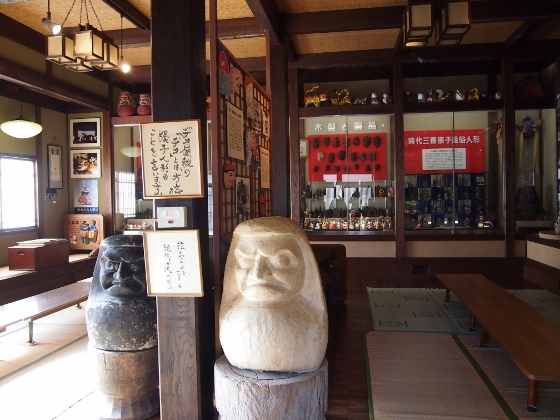 There were displays of history and samples of Miharuharikos. 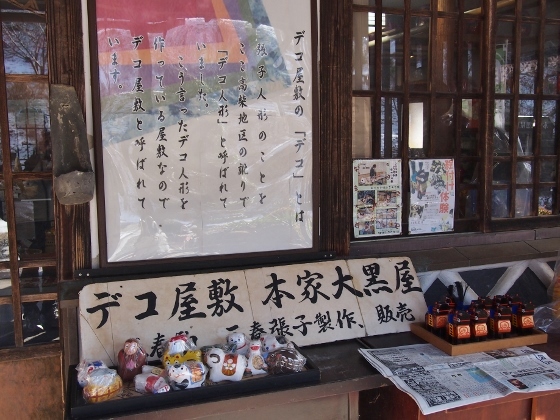 I was impressed by the heartfelt handcrafts here. I believe it valuable visiting this place. 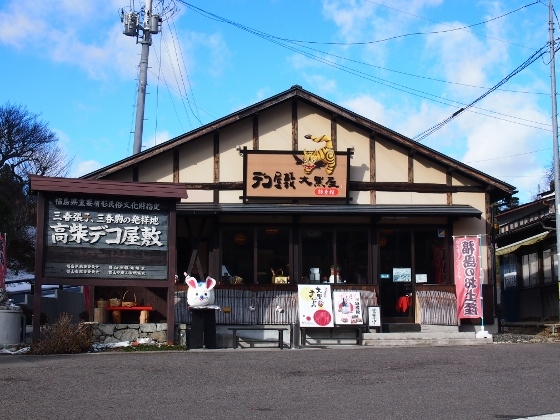 By train, the nearest station was Miharu Station of JR Ban-etsu East Line which was about 2.5km to the Dekoyashiki. 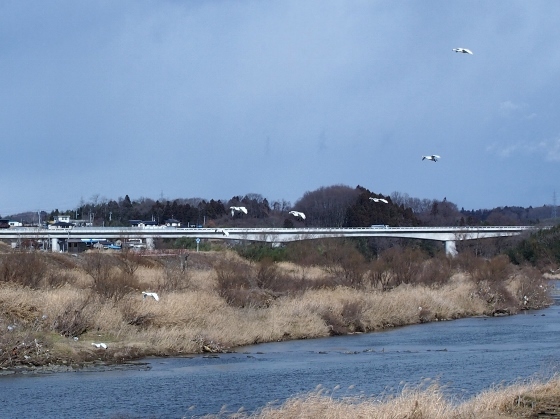 On return route I could see many swans swimming in Abukuma River along the Michinoku Cycling Road. The exact spot was shown by a star in the map below. 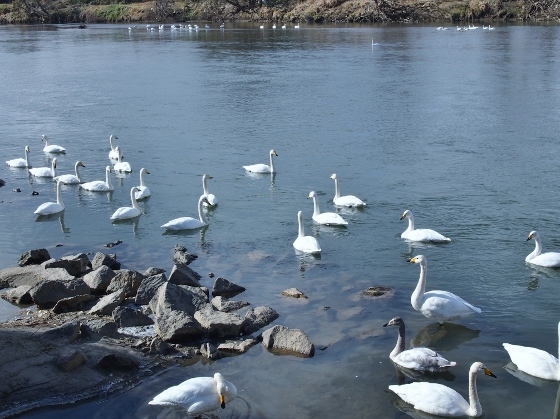 Views of swans swimming in Abukuma River are shown above. I could also see them on the other side. 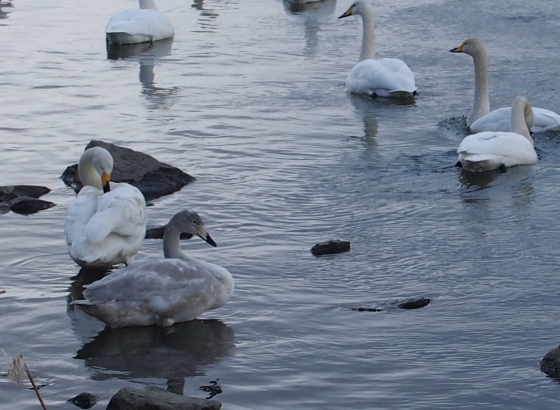 I could find young swans with gray color. Sometimes other swans came flying. 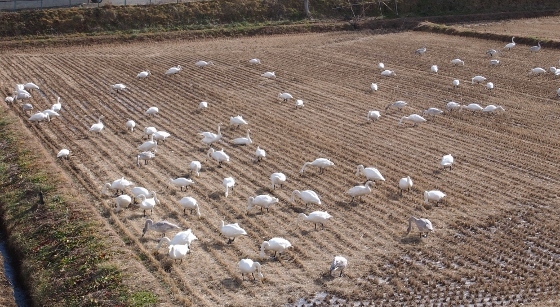 I found that these swans came from nearby rice field (above picture). I thought they sometimes flew between the river and the field.